With the release of IBM® WebSphere® Integration Developer and IBM WebSphere Process Server, comes a new programming paradigm for building service-oriented architectures (SOA) called the Service Component Architecture, a new programming model designed specifically for building and assembling business solutions in an SOA, and targeted for integrating and composing services. Check out the same here. "An Enterprise Service Bus (ESB) is a flexible connectivity infrastructure for integrating applications and services. An ESB can power your service-oriented architecture (SOA) by reducing the number, size, and complexity of interfaces between those applications and services." "The Enterprise Service Bus (ESB) provides a new way to build and deploy enterprise service-oriented architectures (SOA). ESB is a concept that is increasingly gaining the attention of architects and developers, as it provides an effective approach to solving common problems such as service orchestration, application data synchronization, and business activity monitoring." "An enterprise service bus (ESB) is a pattern of middleware that unifies and connects services, applications and resources within a business. Put another way, it is the framework within which the capabilities of a business' applications are made available for reuse by other applications throughout the organization and beyond." "An ESB is software infrastructure that simplifies the integration and flexible reuse of business components using a service-oriented architecture. An ESB makes it easy to dynamically connect, mediate and control services and their interactions." "An enterprise service bus refers to a category of middleware infrastructure products or technologies, based on Web services standards, that enable a service-oriented architecture via an event-driven and XML-based¹ messaging engine (the bus). An enterprise service bus generally provides an abstraction layer on top of an Enterprise Messaging System which allows integration architects to exploit the value of messaging without writing code." I feel the last defination describes the ESB better. ESB is an abstract layer sitting on top of a messaging system, which makes use of Web Services to achieve connectivity. Any J2EE application needs some type of caching. 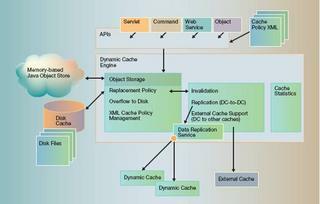 Whether, the application needs to cache some meta data or some global objects , caching has always been used. Caching can dramatically improve performance of your application. The idea behind caching is to store locally any data that changes infrequently but which may be nonetheless expensive to obtain from the data source—such as data obtained from a database. Most of applications I have come across or even developed myself, make use of some type of Singleton pattern making use of a hash table. Here we create a singleton object which gets the data from the database and caches. This approach works fine for standalone applications, but for a distributed environment, this approach won't work because the caches on individual nodes must get synchronized within the cluster. Now, what are the options available to us? This is just a sample, market is flooded with caching solutions. In a clustered environment each server runs in its own JVM, which poses an interesting problem: What happens when the repository changes on one node in the cluster? The caches residing in the other application server nodes quickly become out of date, and users connected to other servers in the cluster will get stale data. I am currently working in developing a caching solution on the same lines. Once finished, I will share my findings. During my experience in handling J2EE projects, the LDAP has always proved to be a mystery for many a team members. Faces tend to go blank and they just don't know how to use.configure or write code to work with LDAP. I found a very nice article which takes your through the journey of LDAP - right from basics to the Advanced level where you configure LDAP with IBM WebSphere. The article is in a 5 part series. Check out the same here. IBM has released a tool that allows organizations to calculate ROI for their Portal Projects. IBM says that ROI calculator that will help the organizations to select and frame the benefit areas and sample costs of an IBM solution. The ROI calculator allows the organizations to easily adjust cost and benefit drivers for the company's business portal project. Very useful to craft a business case for specific integrated business portal projects. Check out the WPS ROI Link, for more details. I subscribe to the J2EEPatterns mailing list. One of the questions I recently came across was on the Singleton Pattern. The pattern seems to little hard to understand specially when it comes to multi threading. One IBM Article that really explains the Singleton Pattern implementation. I went through the same and I must say the article is Must Read. I came across another article that talks about the challenges and pitfalls of J2EE. 1. It talks about the architectural approaches when selecting Application server. 2. What needs to be considered when designing and developing production ready applications? 3. How Operational requirements impact the application? Advanced Web sites typically consist of both static content (served by a traditional Web server) and dynamic applications (using a portal product) surfaced in a common end user experience. With the new adaptive page caching, portlet caching, and object caching functions, IBM® WebSphere® Portal V5.1 can efficiently serve the dynamic parts of a Web site while projecting the static parts into caching proxies or browser caches. This paper explains how and why to run an entire Web site -- including the static parts -- on WebSphere Portal with unified deployment, administration, and content management. After years of providing highend messaging solutions, IBM announced that it would begin to ride the bus. A host of new additions to its WebSphere product line, including a lightweight WebSphere Enterprise Service Bus and an Eclipse based service-oriented architecture development tool known as WebSphere Integration Developer, marks the company’s expanded SOA platform. IBM also announced a wider partnership program for its SOA offerings, a new WebSphere Process Server, the WebSphere Business Modeler and the WebSphere Business Monitor. In addition, the company said it will release an updated version of its WebSphere Message Broker. The announcements reflect an array of new solutions that IBM is offering for start to-finish SOA implementation within enterprises. Recently, I migrated from WSAD to RAD 6.0. I have started working on creating JSF portlets (JSR 168 compliant). While, surfing the net for any good article, came across this 2 part tutorial. I found it pretty useful although the instruction are little cryptic. So you need to go through the article pretty closely to get the sample running. Another 5 series article on creating plain vanilla JSF applications. This I found easy to follow and give clear instructions to go about creating the application. The same logic can be followed for creating portlets also. — With WebSphere Application server 5.0+ you can now add Message-Driven Beans (MDBs) to your WebSphere arsenal. These beans are handy for many processes. I recently had to write a MDB using MQ Series. WebSphere Application Server (WAS) 5.0 had the same functionality built-in, but I had a hard time learning how to use it. I also encountered some issues while configuring it to run in a load-balanced environment. During my last couple of years as architecting J2EE applications, I have come across certain do's and don'ts, during the design of a Enterprise Application. Many projects use EJB's because that is the "in thing" or because this is an enterprise application, using EJB's is a must. My experience says use EJb's where it makes sense. Places where you need to utilise the EJB Container services - like transaction, security. In case, the application does not require all this, then the application should look at POJO's as a viable alternative. Another issue is the deciding which validation need to be done at client side and what all need to be done at server side. We tend to segregate the validations between client and server. It works fine, as long we are the only clients for our server objects. The movement, another client(Rich Client Application, Mobile Applications) wants to utilise the services of our server objects, our server objects start bombing, because the new client is not conforming to the client side validations expected from him. The best practice is to make sure that our server objects does all kinds of validations so as to avoid any bombs later on. People might question, on why do we do perform simple checks like field length validations twice. I say, you are not doing twice. Look from the Responsibility angle, the serve object needs to be self sufficient to perform all validations for the data the object deals with. The server object should not fail because the client did not gave correct data or all the data. Validation on the client side are more from Presentation layer perspective, where the client can restrict the user from entry garbage data or insufficient data. When starting the design of the enterprise application, the application security is the most ignored aspect. It is usually added as an add-on the application during the fag end of the application development. But it might be too late by this time. Security needs to be thought through and implemented as a vertical layer in your application. Once, I worked on an application, where the application had almost 10 different types of security requirements. Privileges needed to be captured at multiple layers. Presentation layer had different set of security privileges. Business layer had different, Data Layer different. Even the data going into database needed to be encrypted, even the DBA was not supposed to see that data. There is a nice book Core Security Patterns: Best Practices and Strategies for J2EE™, Web Services, and Identity Management on the same subject. Another pitfall is the non-use of resource bundles. The common excuse is, our application is a extranet application or meant for one particular customer target or country, where the requirement is English only. Internationalization is the underlying theme today for all applications. The application should from day one take internationalization into account. Here,just moving the text for labels, or messages does not make the job complete. Things like menu items text, application header and footer and also how does the language effects lay out of the page need to be accounted for. In the old client-server days, I remember we were working on a MFC based windows applications where we needed to support 2 languages - English and German. So the mandate was the length of each field label needs to be 25% extra as what we had for English label. MVC is a presentation layer model. Adding business logic to the model class leads to wrong usage of the MVC model. The model class should call a business delegate class and that business delagate class should invoke the business objects. The Business Delegate acts as a client-side business abstraction; provides an abstraction for, and thus hides, the implementation of the business services. Using a Business Delegate reduces the coupling between presentation-tier clients and the system's business services. These are some of the big ticket guidelines. I will try to blog down another set soon. Watch out for the same. Recent, I came across an article that talked about the 10 top myths when it comes to Enterprise Service Bus(ESB). I am mentioning the heading's here. 1. ESB is just a new name for EAI. 2. ESBs compete with J2EE application servers. 3. I don't need an ESB if I'm using Web services. 4. An ESB is simply an abstract concept or design pattern. 5. ESBs are simply message-oriented middleware with a new marketing spin. 6. ESBs will be obsolete once BPEL and the WS-* standards are complete. 7. Microsoft is building an ESB with its Indigo project. 8. An ESB container can be implemented using an EJB container. 9. ESBs offer yet another proprietary middleware stack. 10. ESBs are useful only for departmental applications. Disparate Service Invocation Challenges and Solution Alternatives for SOA in J2EE by Sushil Shukla and Sudhir Bhojwani -- This presentation discusses the challenges in heterogeneous service invocation and solution alternatives in the form of Apache WSIF, Apache Beehive and other custom frameworks. What's New in WebSphere Portal V5.1.0.1? — The first thing that you said to yourself when you saw the title of this article is, Why am I reading an article about a point release? A fixpack update point release usually provides just technical fixes. Who cares? Surprise! IBM® WebSphere® Portal V5.1.0.1 provides new and updated capabilities, as well as the typical set of adjustments and fixes to some components of the product. It also contains some long anticipated enhancements that did not quite make it into WebSphere V5.1. This section gives a high level comparison between the new JSR 168 Portlet API and the IBM Portlet API. First, it covers the concepts that are similar; then, it explains some of the differences between the two. The following features are very similar in JSR 168 and the IBM Portlet API. Both support the basic portlet modes: Edit, Help, and View. The config mode is optional in the JSR 168. The other optional JSR 168 modes (About, Edit_defaults, Preview, Print) are not supported by the IBM Portlet API. These window states are supported: Maximized, Normal, and Minimized. The Solo window state is only supported by the IBM Portlet API. The lifecycle life cycle is the same: init, process requests, destroy. Request processing is divided into an action phase for processing user actions and a render phase for producing the markup. Both support creating URLs pointing to the portlet or to a resource. Servlets and JSPs can be included in the portlet. Portlets can store transient information that should span requests in a session. The portlet can support expiration based caching. The APIs use different mechanisms to implement this functionality. The IBM Portlet API uses a polling mechanism where the portal queries the portlet for how long the markup will be valid, whereas in the JSR 168 the portlet can attach an expiration time to each created markup. 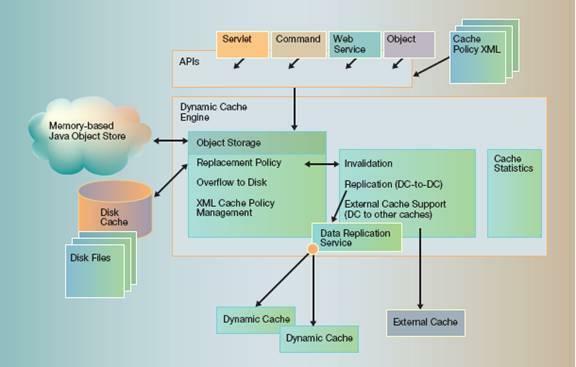 Sharing the cache entry across users is only possible in the IBM Portlet API. JSR 168 and the IBM Portlet API differ in the following ways. the parts that are unique for each concrete portlet application. for customization of the output. into one object called PortletPreferences. These items are only available in the JSR 168.
allow the portlet to store its navigational state. and solves the browser back button problem. Web resources in the action phase. The following concepts are only available in the IBM Portlet API. Events can be sent between portlets. content to a menu bar to facilitate navigation through portal pages. By default, portlets do not share the Portlet Session object. So, if a page has 4-5 portlets, each portlet will have its own portlet session object. This can lead to a lot of overhead when rendering the page. To avoid this problem, portlets with common functionality should be packaged in one WAR file. Further the portlets packaged in the same WAR, share the same Portlet Session object, hence saving on the memory requirements, all leading to faster rendering of the page. Download the resume in MS Word Doc Format here. This excerpt covers some of the architectural challenges posed by Web Services, examines how to use (and not to use) Web Services, and describes some best practices in applying Web Services for solving tough architectural problems. I work as a Consultant in Portal and Content Management Practice for Wipro Technologies Ltd. I have co-founded a company in the area of collaborative innovation (www.ideaken.com). My main responsibility is around architecture and running of a multi-tenant application, deployed in cloud. My previous experience ranges from Architecting Portal and Content management solutions to developing back end systems for financial / transportation / travel domain projects using J2EE technologies. My areas of interest include multi-tenant application, cloud computing, portals, content management, Web Services, Service-Oriented Architecture (SOA) and Web 2.0. 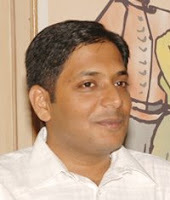 I hold a Masters degree in Computer Applications from Thapar Institute of Eng & Tech, Patiala, India and ePGDBM from SIBM, Pune. If you have something interesting for me, please check my resume here. This weblog does not represent the thoughts, intentions, plans or strategies of my employer. It is solely my own personal opinion.